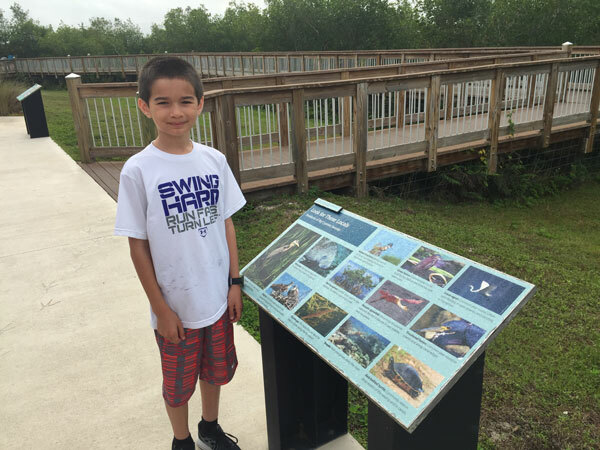 My family and I are spending this Spring Break down in South Florida to visit 3 National Parks: Big Cypress National Preserve, Everglades National Park, and Biscayne National Park. 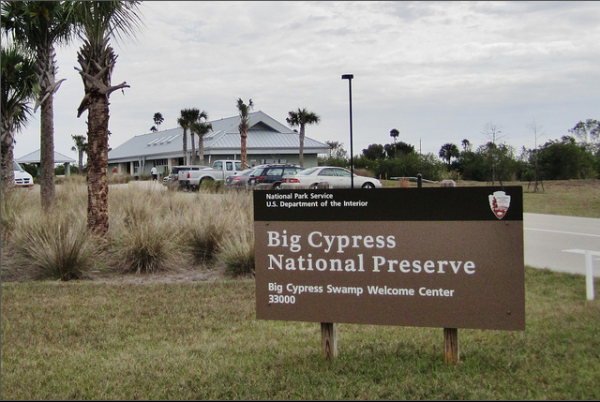 After a day in Fort Myers watching my beloved Red Sox take it to the Phillies at JetBlue Park, we spent the night in Naples and headed out for Big Cypress National Preserve. 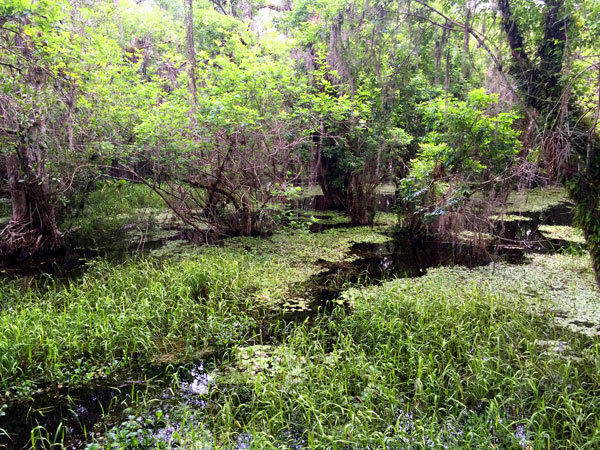 Big Cypress National Preserve makes up over 729,000 acres of amazing land in South Florida. 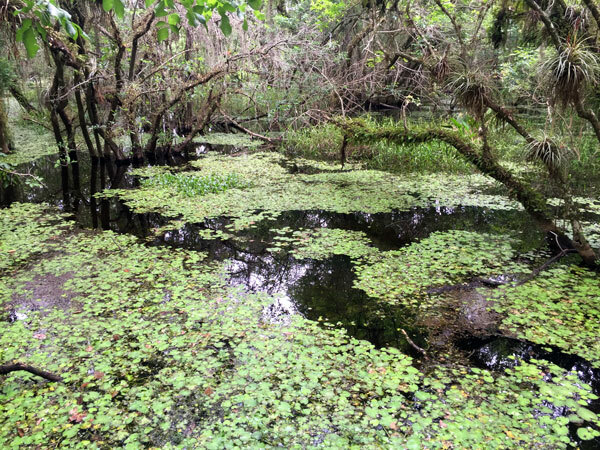 One of the things I was confused about is why the Big Cypress National Preserve was not part of Everglades National Park. After all, they border each other and share the same diverse wildlife and ecosystem. 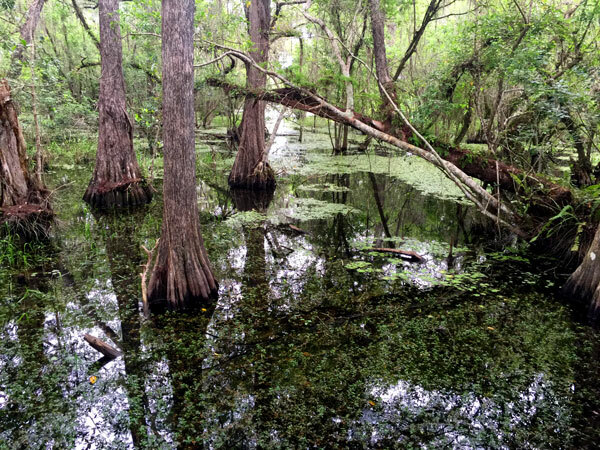 But it turns out that the Big Cypress National Preserve is really the result of compromise. We entered the park from the west taking the Tamiami Trail Road. 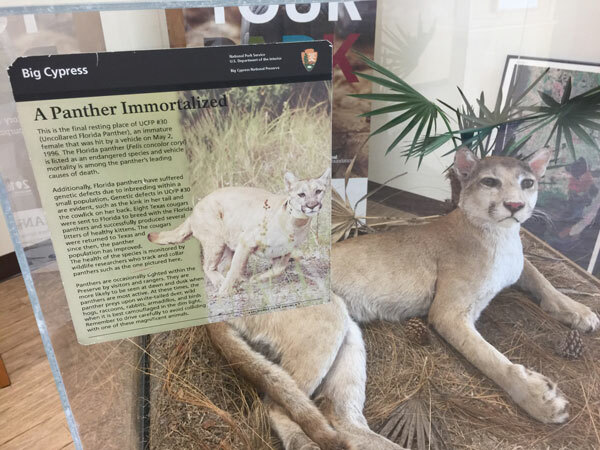 The Welcome Center is only a few miles from the entrance of the preserve. This welcome center is small and narrow but contains a few interesting exhibits. 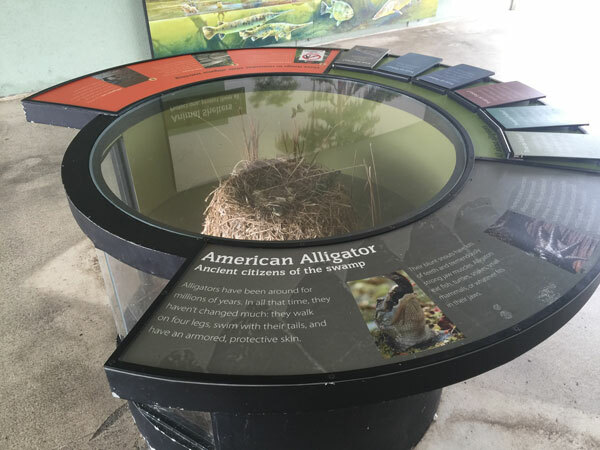 This American Alligator outdoor display shows what an alligator nest looks like and contains a few interactive elements. 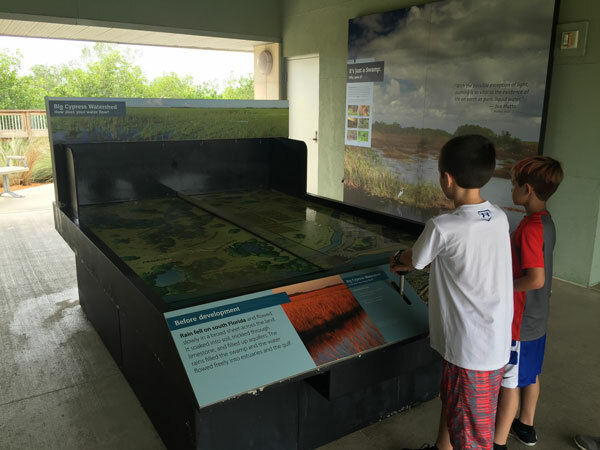 On the opposite side of the Welcome Center is an interactive display that highlights the difference in water behavior before and after development in the Big Cypress watershed. 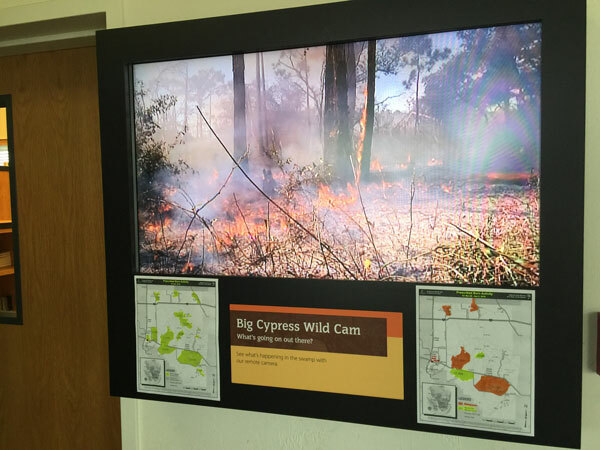 There was also an interesting video talking about the need for controlled burns within the preserve. 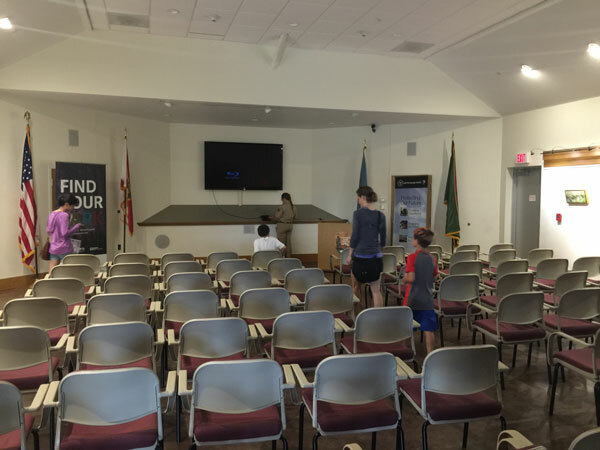 The theatre at the Big Cypress Swamp Welcome Center is air conditioned and large. We were very happy to hear that the video is on-demand not set to a schedule. There’s nothing more frustrating than showing up 10 minutes into a scheduled showing. The movie itself is 26 minutes long and focuses on the many different ways people use the lands of the Preserve from conservation, to hunting, to recreation. 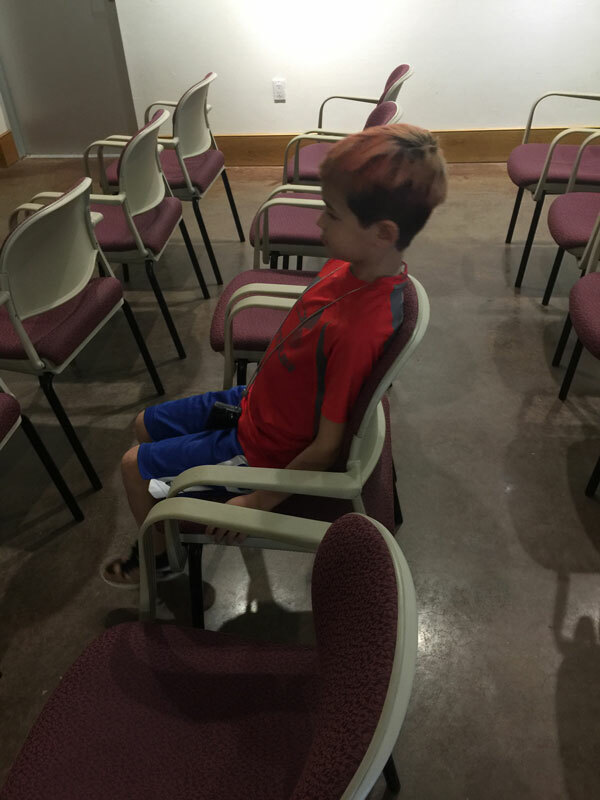 The other bonus…(or at least I appreciated it) was the chairs in the theatre reclined a bit. Nice touch Big Cypress. Nice touch. In the back of the building is a boardwalk that extends into the water offering some scenic views of some of the swampland. Displays along the way cover the most important items. Another bonus was grabbing a family portrait! 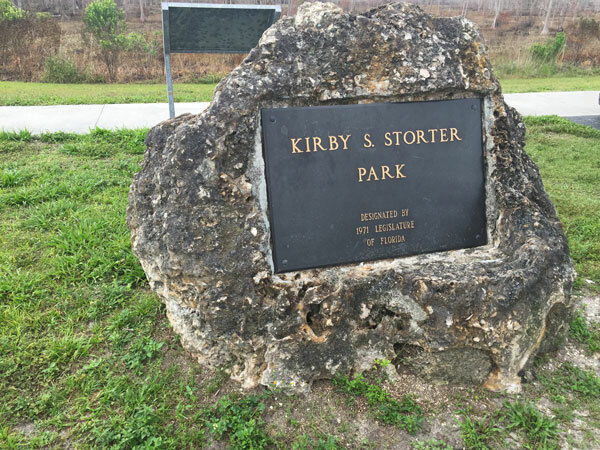 Anyway, the Park Ranger recommended the Kirby Storter Roadside Park for a nice hike that wouldn’t involve being underwater. I had seen Kirby Storter on the map but didn’t really think anything of it. To be honest, I thought it was just a RV location. 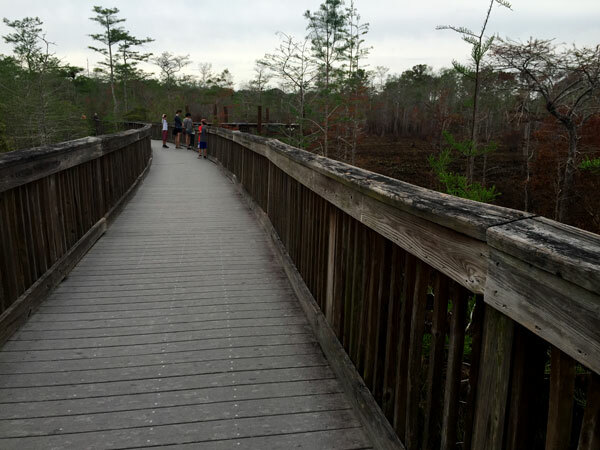 It was a bonus that it was about halfway between the Big Cypress Swamp Welcome Center and the Oasis Visitor Center. We had already planned to visit both as we travelled across the preserve from West to East. I am so glad that I checked with the Park Ranger! The trail was dry as it was a boardwalk the entire time. Plus, it had the most amazing scenery of the day! 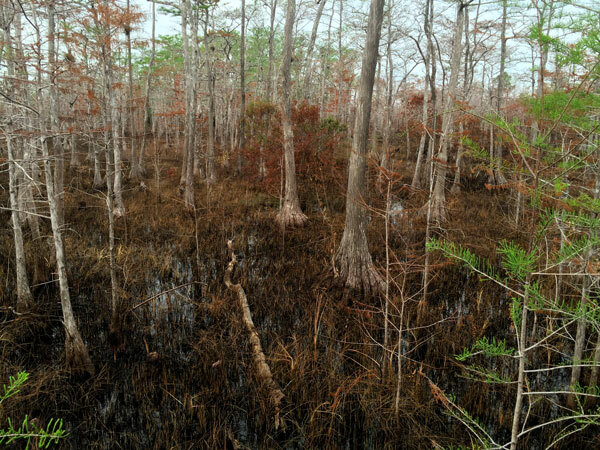 It is amazing that all the cool pictures you see of cypress trees and mangroves in the Big Cypress Swamp can be seen from this location. 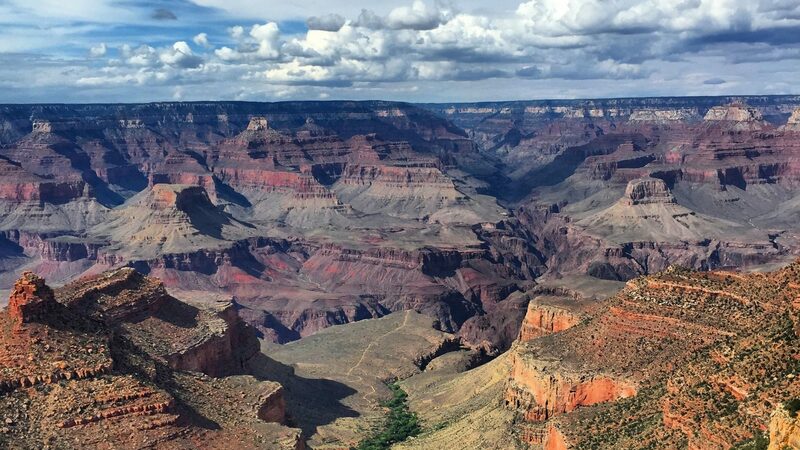 Check out some of the gorgeous sights we saw! And it also contained a theatre (Same movie), clean bathrooms, and a bookstore. 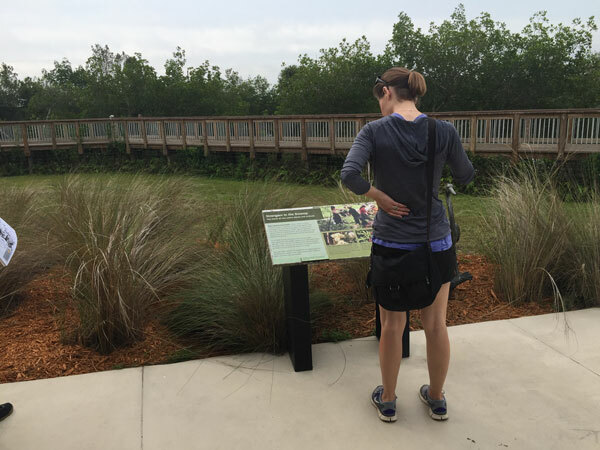 It also had a boardwalk lookout area that had 8 alligators! I was so excited to show the kids a building with a giant airplane on top! 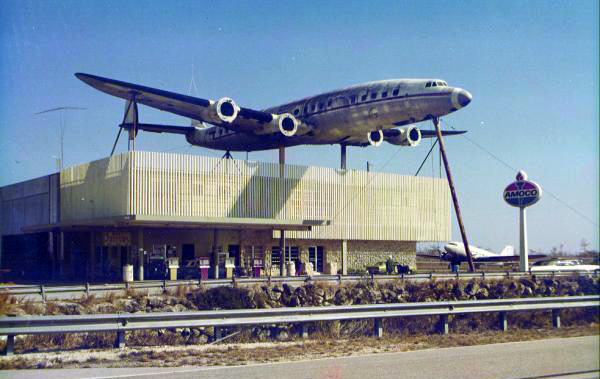 Unfortunately, the plane was removed in the 1970’s. I hope the National park service revises the copy on the website as it does not explain the plane was removed. Today’s trip to Big Cypress National Preserve was our family’s 56th National Park site visited! We are planning on visiting 18 National Park sites in 2016! My family and I had a great time today at Big Cypress National Preserve. 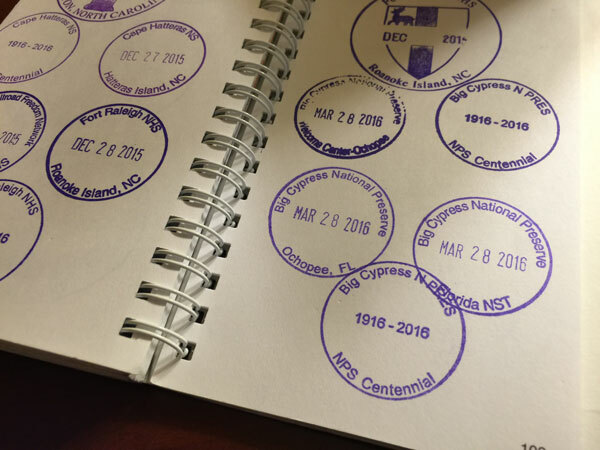 We got hooked up with our National Passport stamps and Junior Ranger badges! 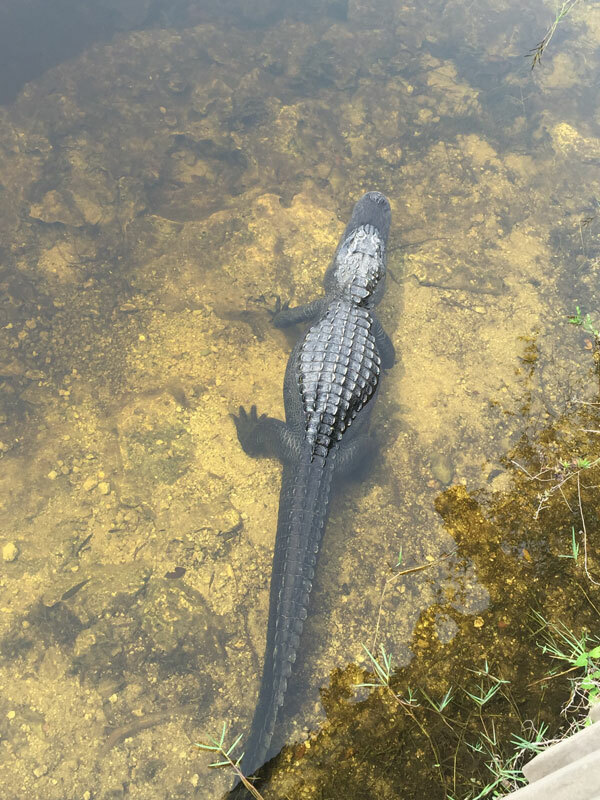 If you are ever in the South Florida area, you should consider visiting Big Cypress National Preserve! Tomorrow we head to Everglades National Park! – Bathrooms are located at the Welcome Center, The Oasis Visitor’s Center, and many other locations. 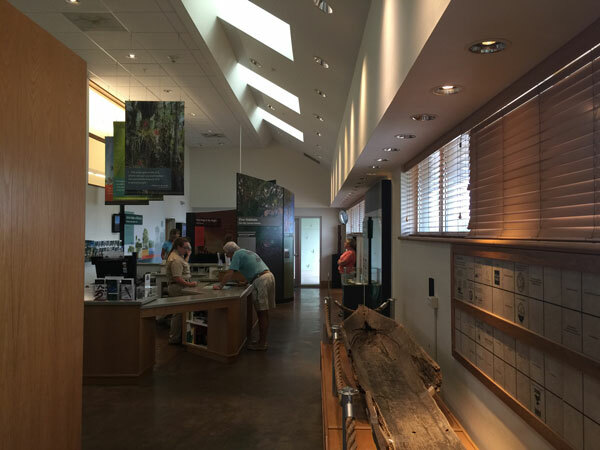 – The National Park Passport Cancellation Stamp location is at both Visitor Center’s bookstores. 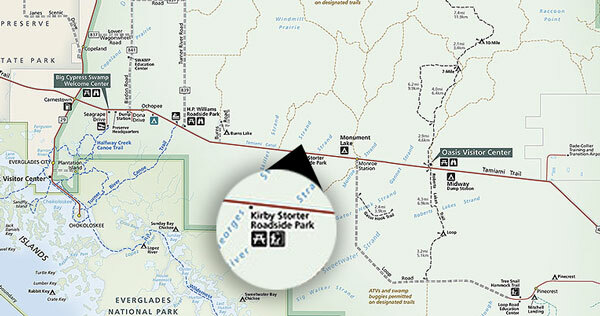 Have you visited Big Cypress National Preserve? If so, leave your experience in the comments!